We have achieved multiple successes in testing conducted by renowned independent institute of Virus Bulletin. But this time, our success is even more important because we beat all our competitors in the completely redesigned process of this testing. In recent tests which already included new processes we achieved the success rate of 97,9% (for Windows 7) and 98% (for Windows 10). These rates are results of weighted average which gives equal emphasis to the two reactive weeks and the whole proactive part, and we absolutely ruled the table of recent testing´s participants. However, this weighted average is not the only one change in the testing process. Which are the other ones? For a long time, Virus Bulletin was used to change platforms for each regular test run. They will no longer do this, but the testing will run simultaneously on both Windows 7 and Windows 10. Also, it was needed to send a new installation of product for testing before. Now you only need to send the SW and then you can send the new installation file as soon as the completely new version is released. One of the most important changes is introducing the on-access functionality as the main measure of detection. 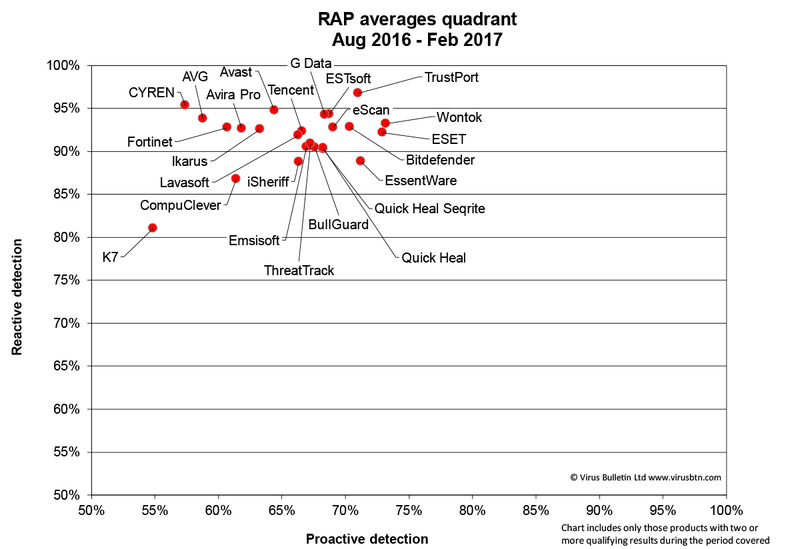 That brings a “real world” type of testing into the results which say the best about the real effectiveness of an antivirus product. 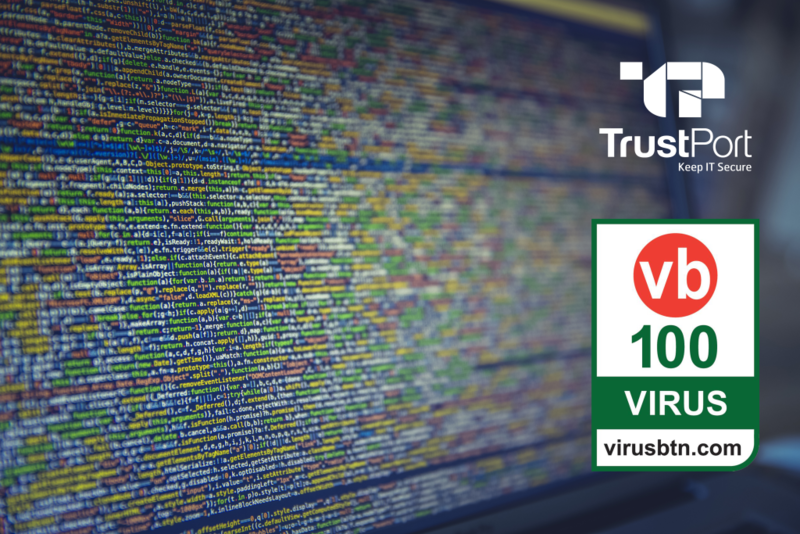 Take a look at the full results on the Virus Bulletin´s website and if you seek a really efficient and powerful antivirus product for your best online protection, take a look here and make your choice. You can´t be wrong with TrustPort.